Purr-fect are professional and dedicated pet-carers who are happy to help. We simply adore animals and caring for them isn’t just our work – it’s our absolute passion! 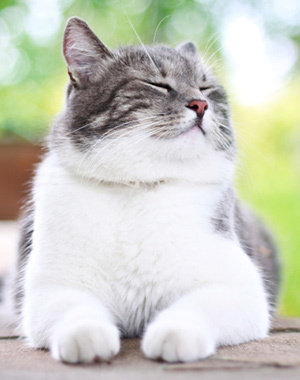 Purr-fect was launched by Vanessa Smith in 2007 when she found it so difficult to take a holiday due to her cats having a complete dislike of catteries. Not wanting to reply upon busy family and friends to have to visit her cats and follow her cats’ routines, Vanessa realised that there was a gap in the pet care industry and so began her Purr-fect pet care journey. After months of research and discussions with other cat owners, she discovered she wasn’t alone with this dilemma; many other cats owners were in similar circumstances and one particular cat parent hadn’t been away for 20 years! Vanessa decided from day one to offer the most loving, reliable and trusted cat care service she could and after almost ten happy years, Purr-fect has proven to be a huge success. 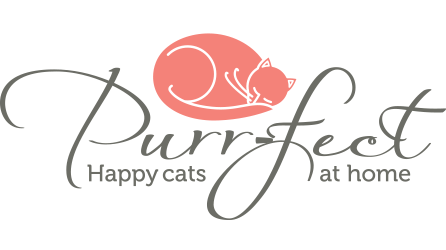 Purr-fect is now expanding the business by franchising throughout the UK, so that all discerning cat parents can take a much earned stress and guilt free holiday – it’s Purr-fect! Choosing someone to look after your pets when you’re not there can be a difficult decision to make. 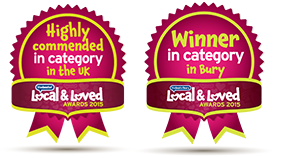 Rest assured, Purr-fect is an award winning professional pet care service. We guarantee that your pets are in the safest hands possible – just take a look at our testimonial page to see the feedback from some of our very happy, wonderful customers. We’re happy to come to visit you and your pets at home for a free, no-obligation initial visit to discuss any questions you may have. We want to make sure that you’re 100% happy before you book with us. We’ve been pet sitting since 2007 and have built up an excellent reputation. A significant portion of our business comes from returning customers and we receive many new referrals from our happy customers, pet rescue charities and veterinary clinics. Over the years we’ve been entrusted to care for the pets of magistrates, police, solicitors, doctors and many other high profile clients – occasionally even caring for other pet-sitters’ pets when they take a holiday. With over thirty years combined experience we guarantee to provide an unparalleled service dedicated to keeping your pets safe, happy and content while you’re away from home. We care passionately about the welfare and happiness of your pets and will always treat them as we would our own. We specialise in offering a unique, tailor made cat care service throughout the UK. We’re sure you’ll have lots of questions and we’re very happy to answer these for you if you call or click using the details above. Copyright © 2016 Purr-fect Pet Sitters.